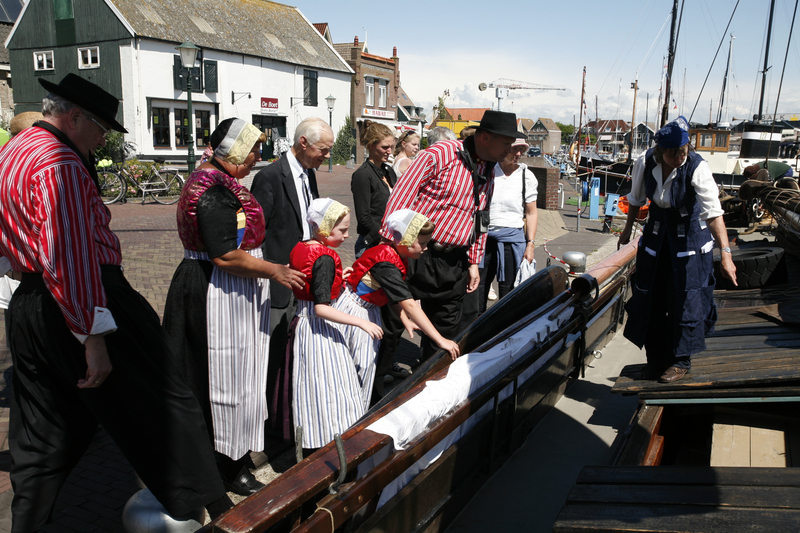 As part of the anniversary year of the Zuiderzee Museum I was asked to develop a vision of the role that the museum could play in the future. I found that the museum was a keeper of treasures, who could also give back treasures to the original owners. This would not only make the original owner happy, but the museum would also regain space for new objects. I wanted to bring back an orphaned house from Zoutkamp, which the residents had been looking for at the museum and had lain neglected for years in the outdoor museum depot. I used an historic cargo sailing ship. During the two week trip we also visited other former fishing villages. 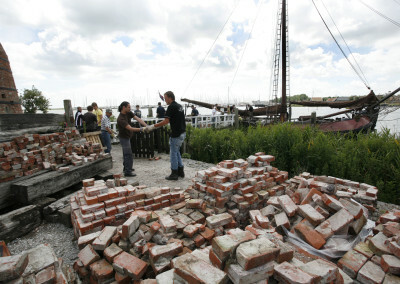 They also received some of their cultural heritage back, but in the form of a drawing of the houses and buildings that they had once given to the Zuiderzee Museum. These were ritual meetings with exchanges of gifts. 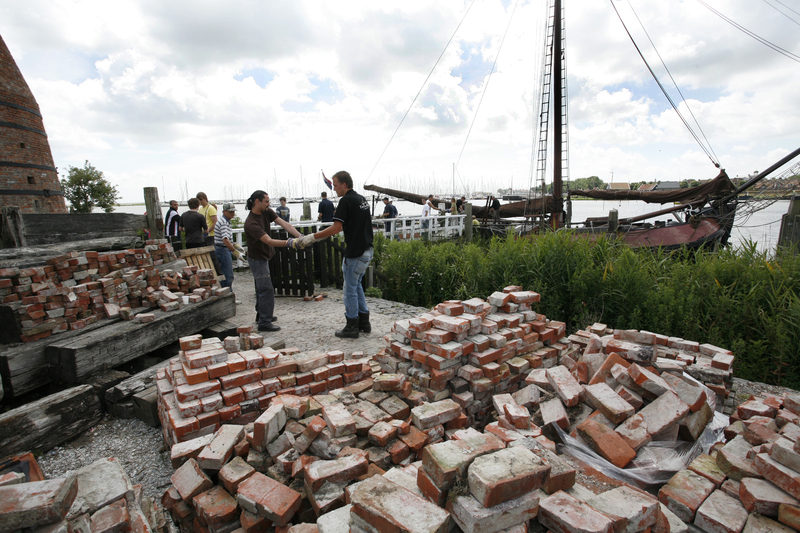 In Zoutkamp they were pleased that they could rebuild their history thanks to this initiative. There was now room in the museum. I could give a new home to the shed which was part of my project Moving Immovable, the shed which lost its home in Abcoude due to the construction of the HSL high-speed line. 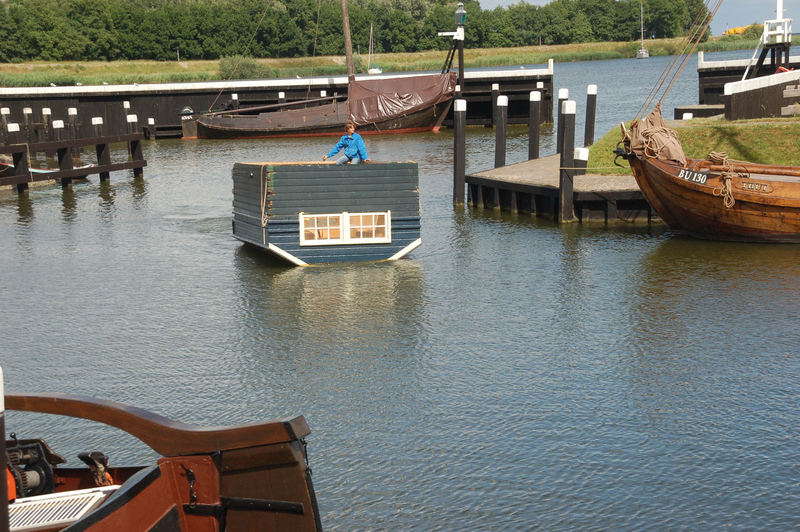 The artist Lambert Kamps converted the shed into a boat, and it arrived at the Zuiderzee Museum on 4 June. It received asylum. 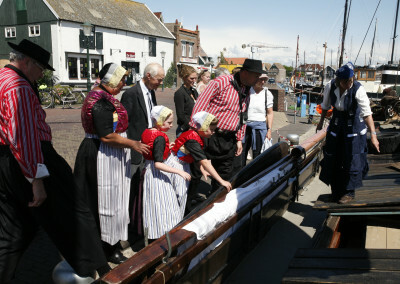 Financing Zuiderzee Museum Logbook Departure of the house on Sunday, June 29th with the tjalk De Bruinvisch from Enkhuizen. 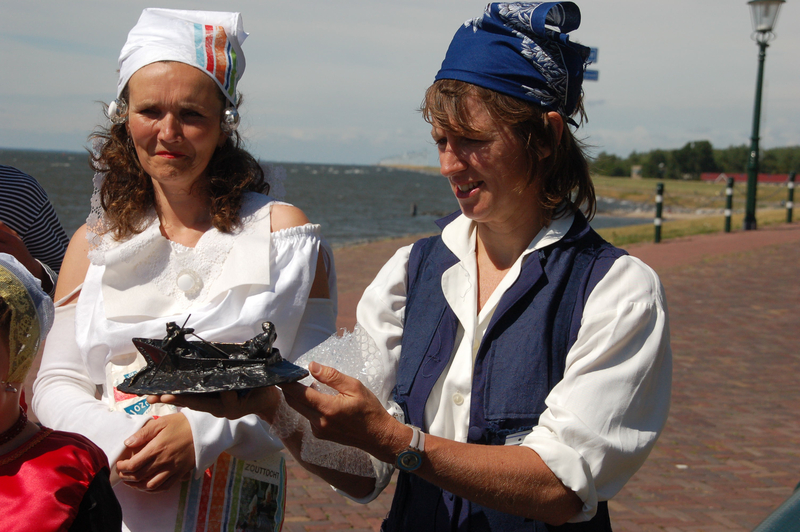 Meetings with fishing villages June 30 Volendam, July 2 Harderwijk, July 4 Urk, July 6 Den Oever, July 7 Harlingen, July 10 and 11 Zoutkamp. 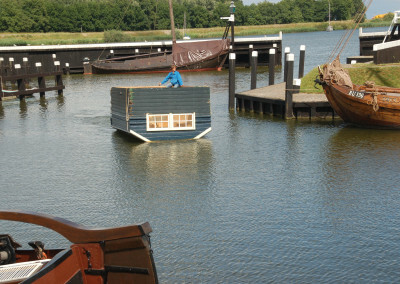 Exhibition: June 4 t / m 1 October cottage ZK5, Zuiderzee Museum. Concept, production and execution Ida van der Lee. 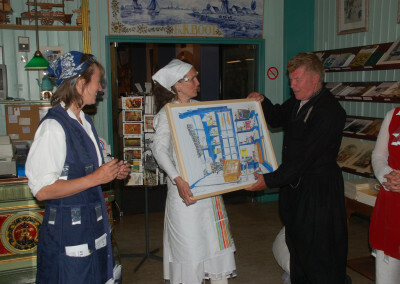 Commission Zuiderzee Museum. 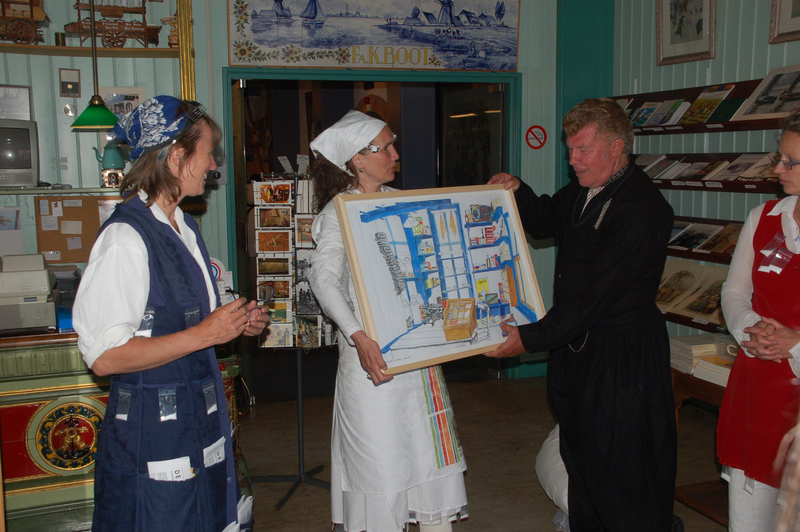 Participating artists Lambert Kamps, artist converted shed Pietsjanke Fokkema, artist, drawings. Assistants Lucas van Royen, film, Max Linsen, photography, Cees Dekker, captain of historic dektjalk The Bruinvisch, Saskia to Dorsthorst (production, website, costume and performance). Thanks to Bill, Susan, Henk, Bart and all volunteer crew members.